Bruno had always dreamed of being a world champion windsurfer, living his dream vicariously through windsurfing magazines. He first tried kitesurfing at the age of 23, and after a few boards decided to give up windsurfing altogether and devote himself entirely to kitesurfing. 2001 marked the beginning of a long list of French and International victories. Despite competing in all disciplines (Freestyle, Wave and Slalom), his ultimate goal continued to elude him. his dream finally came true in 2007 when he won the French, European and World titles, all in the same year. Bruno took eight years to achieve his ambition, but he was not about to to stop there. World champion again in 2009 and 2010, he remained on the podiums until 2013. Bruno Sroka lives for the sea, and the sea is his life. He spends most of his time on the water, on a kitesurf, stand-up paddle board or surf board. In 2009, he and his designer Paolo Rista developed race boards which revolutionised kite racing, and when Bruno won the two existing circuits on them, the world took note. He won 12 of the 16 competitions in 2009, with podium finishes in 15 of them. A superb achievement! Bruno also had a thirst for adventure that matched his competitive ambitions. In April 2008, he took on the phenomenal challenge of kitesurfing 100 nautical miles across Cape Horn, making him the first (and still the only) man to cross Cape Horn on a kitesurf, and to have covered 100 nautical miles in the Roaring Forties. Further adventurous exploits followed, such as crossing the Gulf of Aqaba, breaking the record for crossing the widest part of the English Channel, and the even more incredible feat of kitesurfing from France to Ireland. He completed this non-stop, 450 km crossing in 16 hours 40 minutes in 2013. For Bruno, stand-up paddle boarding is the best way to train with friends, and to restore his inner balance after each of his great adventures. Foils are extraordinary, beautifully simple vehicles for flying over water. SROKA is more than just a brand. It grew out of a meeting of passionate minds all wanting to share our desire to broaden access to board sports such as stand-up paddle-boarding, foils, and all other water sports. Every day, we put our hearts and souls into developing, producing and marketing the best products at the best possible value for money. Bruno Sroka was a tester for several years with one of the world’s leading kitesurf brands. In 2009, he and Paolo Rista developed the first race boards for kitesurf, which revolutionised kitesurf racing. Since then, Bruno has worked tirelessly to hone his testing skills, aiming for ever greater accuracy and detail. 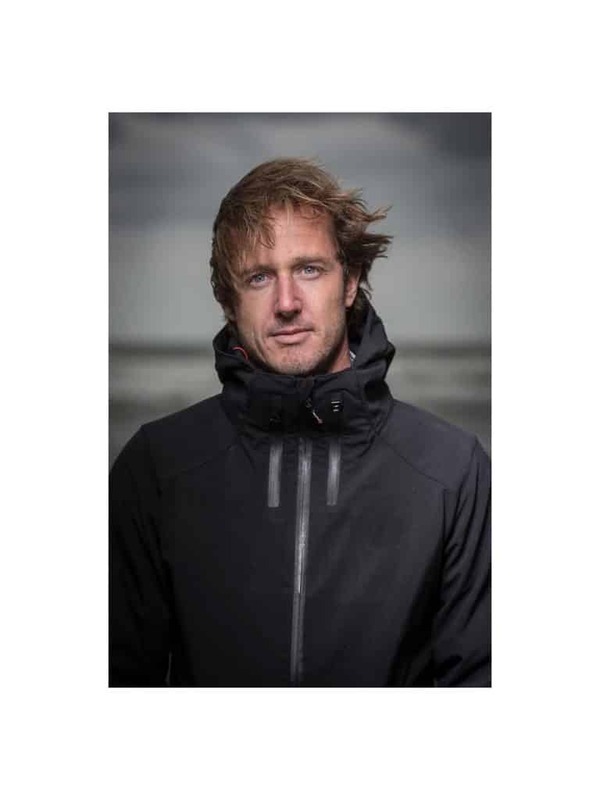 For more than five years now, he has used all his expertise to design, develop, test and market SROKA brand stand-up paddle boards, hydrofoils and kitesurfs. Our mission is to offer you a high-performance, quality product at the most affordable price. We do thisby placing the user at the heart of our approach. This means that we develop our products by watching and understanding board sports enthusiasts in action, and anticipating their future needs, to make their sport ever more user-friendly, trouble-free, accessible, fun, progressive and safe. We listen to our customers’ views so that we can keep innovating and moving our products forwards. Every product is extensively tested by Bruno Sroka prior to launch. Our products are easy to use, and scalable over time to adapt to your own progress. Every day, we put all our time and expertise into producing the best possible products for you. Welcome to our world. We hope we can share our passion for board sports with you.